This quarter's motto is: Don't start any new projects. The WIP list just keeps growing. With the kids home for summer and a variety of other "life" getting in the way of sewing time as well as sewing mojo I finished a mere 4 projects from the list last quarter. Such as life. As I like to say: I can only do one human's amount of work. So... most of this will look very familiar to you (updated with some new pics!). Now I'm really on a break signing up for swaps (though if the IG Mini Swap round 2 comes up, I don't think I'll be able to resist... AND I've got an idea for one that I want to host -- that one will just have to wait for now). My year end goal from the beginning of the year is to have no more than 12 WIPs on the list. (Are you laughing yet?) I sure have my work cut out for me this quarter, don't I? A number of these are clothing items for the kids. Perhaps I can whip out some of these for Hanukkah gifts. Schnitzel and Boo Mini Swap (round 4). This one is due in early November. It's the last swap I'm signed up for. Here's my initial fabric pull. I have a great idea... that has Y-seams. ;-) We'll see how that goes. 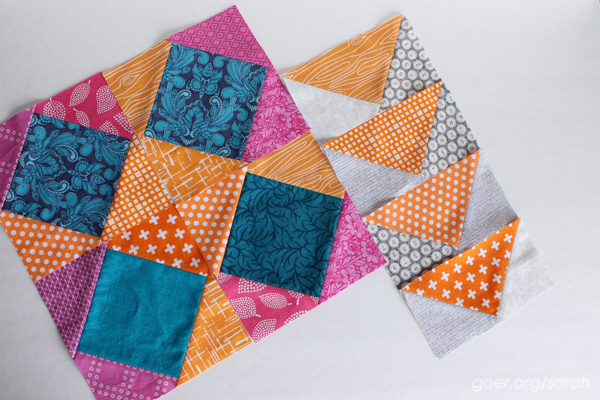 Sew My Stash Mini Quilt Swap. Most urgent based on the deadline. I've decided to go with HSTs and I'm using the trimmings from another project... if that isn't using my stash, I don't know what is! Here's a peak of my palette. 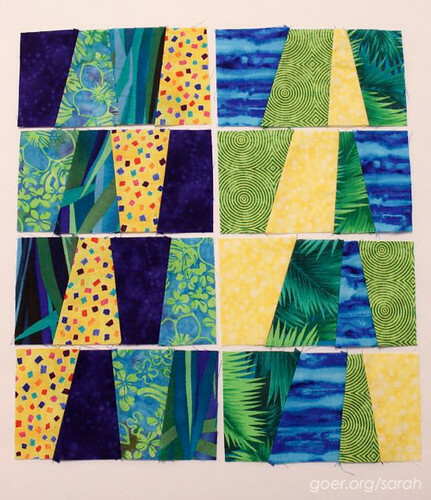 EZ Quilting QuiltCon 2016 Triangle Quilt Challenge. Due November 30. 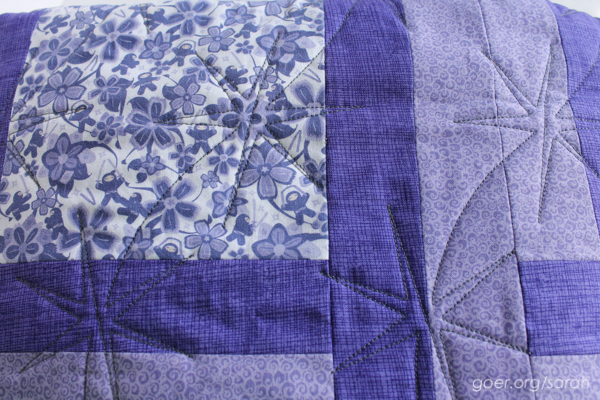 The Purple Ninja Quilt. I'm getting this one done for real this quarter. It's been quilted by Patti Joki, a local long-arm quilter (my first time sending a quilt out for quilting). The binding fabric is prewashed. Now to make and attach over 400 inches of binding! 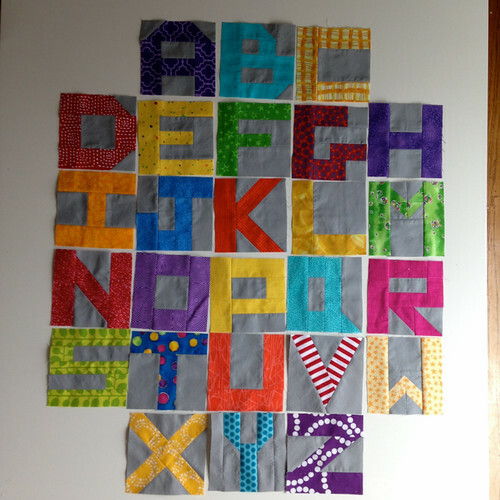 Help my son finish his third quilt. 2004 (ugh) Baseball Quilt... This one continues to be my oldest WIP. I've finished constructing all the blocks and I've even pieced a couple of them together. 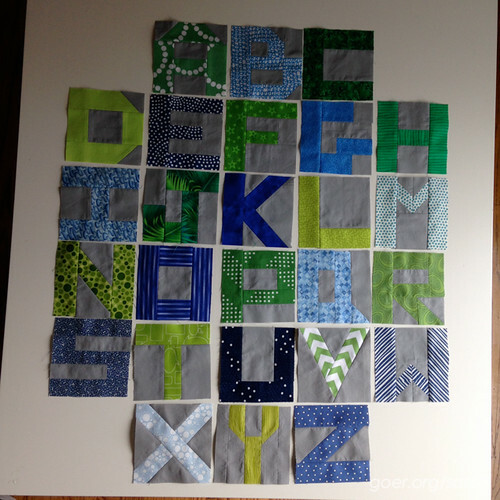 Little Letters in Blues/Greens Quilt. Another Retro Camper Mini. I made one for my Home Sweet Home partner and one for myself that's currently unfinished. My other Zig Zap Placemat. Ya know, so I have a pair! Just needs to be quilted and bound. Check out my tutorial. Very Hungry Caterpillar twin quilt. 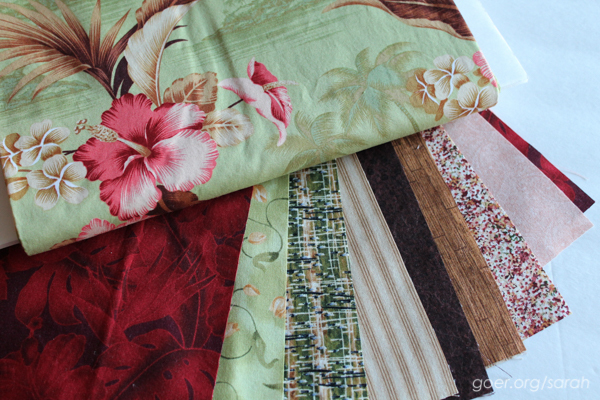 Fabric all cut for Fat Quarter Fizz quilt and piecing has begun. 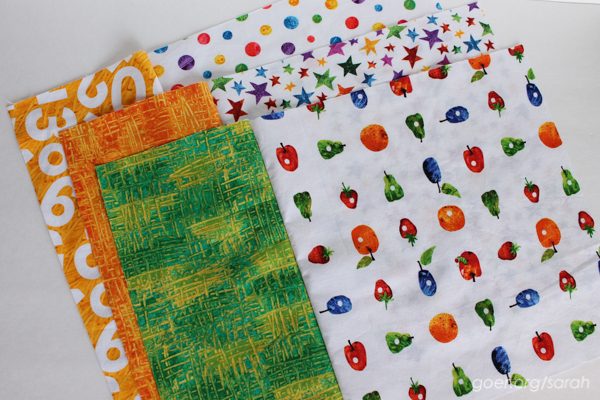 Very Hungry Caterpillar baby quilt. I cut all the fabric I had and had way too many sets for the twin quilt for my son's bed, so I should be able to get 1 or 2 baby quilts out of the remaining pieces. See above. My safari animal baby quilt. Ready to baste and quilt. I'm considering going with graffiti quilting on this one. 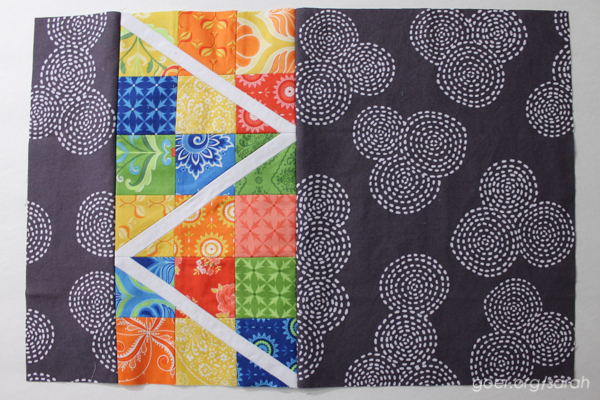 * Batik SCVQA philanthropy quilt. Basted and ready to quilt. * Roman Stripez with turtle backing. 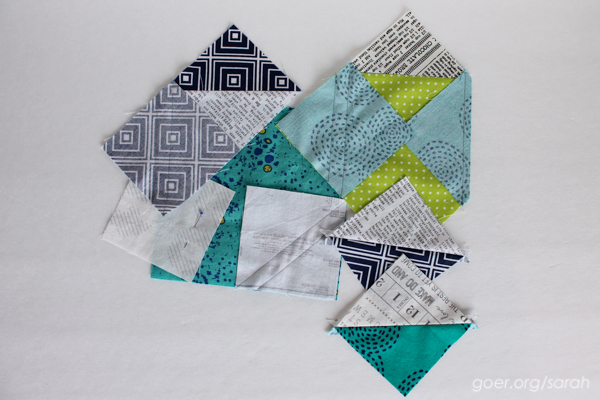 Envelope quilt. 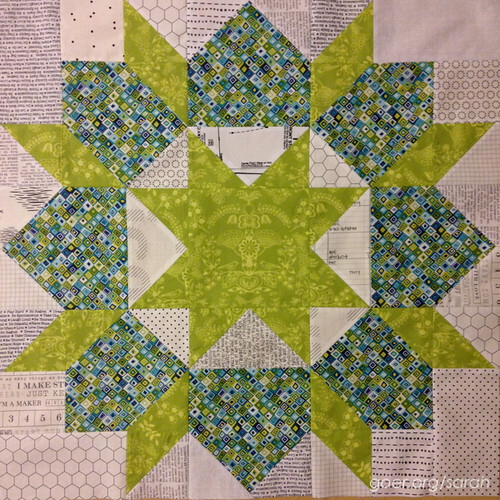 A couple blocks pieced. I'll probably make a mini for myself. Frog dress for my daughter. She picked out this fabric while on the Shop Hop with me. 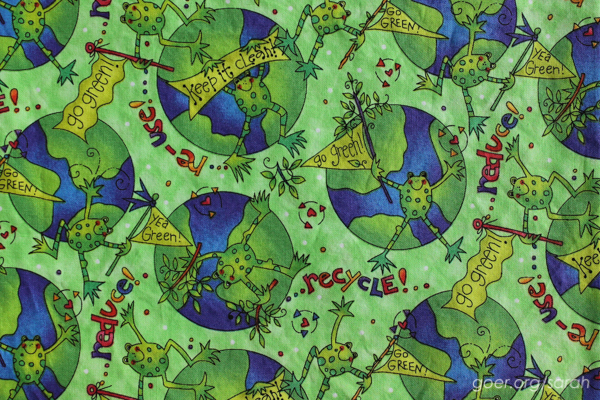 I intend to make my first Nelle Dress (by Brownie Goose). Frog shirt for my son. His pick on the shop hop. 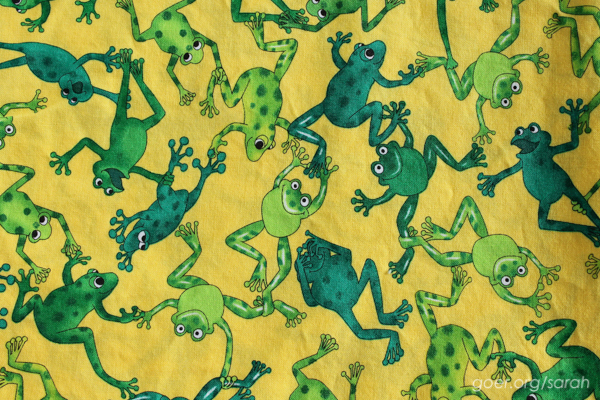 Not sure what was with the frogs. He'd like a new Bowling Shirt (pattern by Scientific Seamstress). Baseball dress for my daughter. Ever since my son started playing t-ball, she's had a thing for baseball. 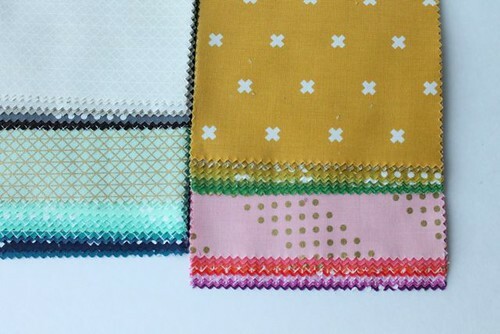 She picked out these two fabrics. I'm planning to make the Jewel's Stripwork Peasant Dress (by Create Kids Couture) without using strips for the skirt. She's been wearing the last one I made her for a year. 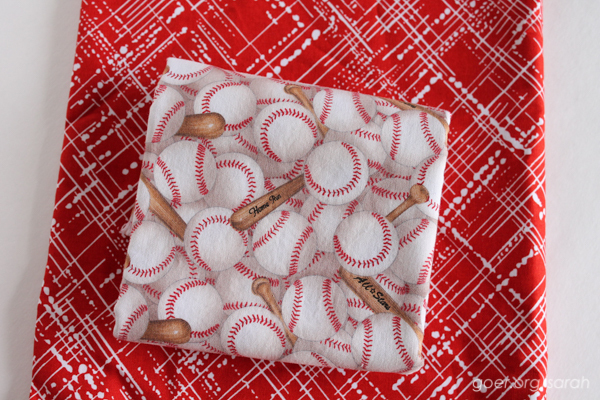 Baseball print Bowling Shirt for my son. Same fabrics as above. Winnie the Pooh Skirt/Shorts for my daughter. Fabric currently MIA. Hm. Found it! 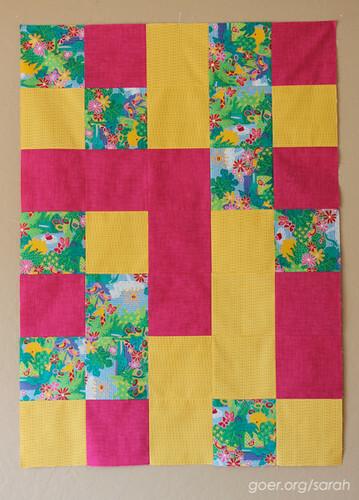 * Rainbow Simply Woven lap quilt with bee blocks from Stash Bee. I need to decide how big I want this to be and how many additional blocks I'll be making for myself. I didn't have a good place to lay out my whole set of blocks for a photo, so here are the first few blocks I received. 4th of July shop hop table runner. 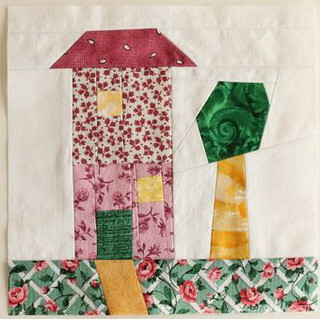 * Patchwork City Metro Area Quilt. It's becoming a bit of a fabric collection... I do love the blocks I've finished. * Midnight Mystery Quilt. In progress, expected finish early 2016. * Indicates that these projects will almost certainly roll over to Q1 2016. Stats: Since I like data, here's some further info comparing project status of my Q3 list to this one. 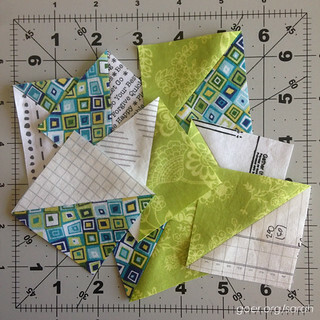 While I only had four Q4 finishes, I made progress on many of the projects, particularly in moving them from Fabric Pulled to Fabric Cut and from Fabric Cut to Piecing in Progress. 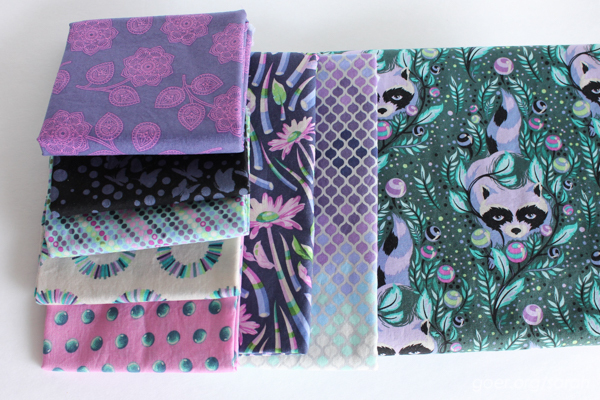 Bucket List: I haven't pulled fabric for these (except #9), but I can't stop thinking about them. Remember the motto: Don't start any new projects. Wizard of Oz baby quilt, gift for a baby due in March. Floating Squares improv score from The Improv Handbook for Modern Quilters by Sherri Lynn Wood. Technicolor Galaxy. I didn't have the bandwidth to do it real time, but every time I see everyone else's I kick myself just a little bit for not diving in. Mini Mini Quilt Swap on IG. I'm linking up to the Q4 Finish Along Goal Party. Posted in Quilting, Sewing. 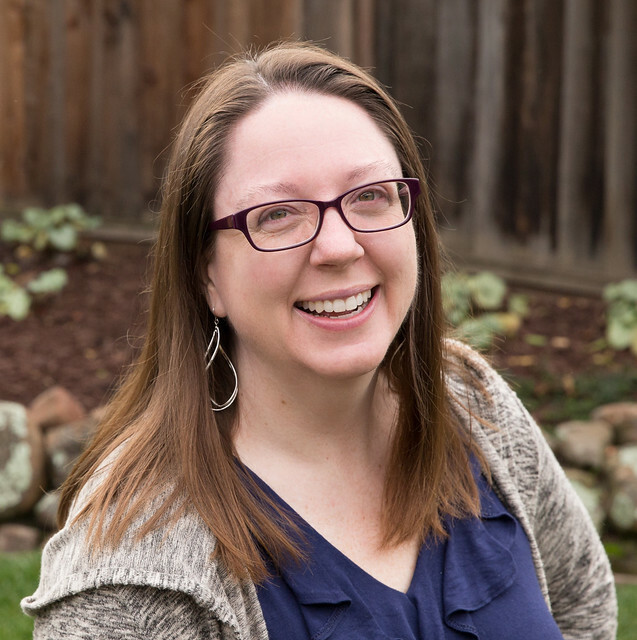 Tags: Finish Along 2015, goals on October 15, 2015 by sarah. Wow. And I thought my list was long. No sleep for you if you want to complete this list this year. 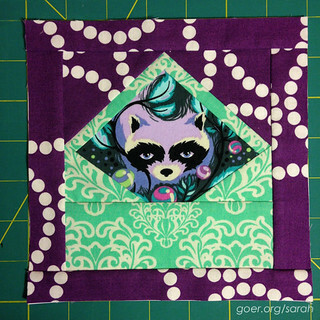 LOL I love the envelope block with the raccoon inside. I've never seen one like that before. Good luck! Love the pictures and list. I've got a hypothetical Polaroid quilt on my list too - just waiting for someone to get pregnant before I make it! I'm working on quilting two quilts right now with one more in the wings. I told myself no starting anything else new until those three are done (I've got plenty of other WIP too! ), but it's so hard to resist! Oh, a Polaroid would make a fun baby quilt! There's a mini Polaroid block swap on Instagram right now. I really had to restrain myself to not join. The blocks are so fun! Thanks for visiting! Thanks for the idea. I'm certainly considering that. I'll make the hard decisions come December, I think. Our guild has done a WIP swap once or twice over the last year, but I wasn't in a place to take on a new project either time. I had to laugh when I read your motto. When I was young, the last thing my dad told me any time he and mom left me in charge at home alone (with my two younger sisters) was, "Don't start any new projects"! Thanks for the memory, and good luck with your goals. Aww, I'm glad that my motto brought up a good memory for you. Sound advice. ;-) Thanks for visiting. I'm with Carrie W.'s advice! Just getting them into a list (knowing you there is probably an Excel spreadsheet in there, too) is a finished project LOL! Looking back in my project life, if I had to prioritize I would do the family items first. Quilts on all the beds by Jan 1 and the clothes in closets. But that's MHO. Oh WOW, how many hours does your day have ;)? I suppose it does provide you with some room for variation while at the same time being motivated to tick a couple of. Look forward to seeing some of those finishes. The real question is, how many hours does my day NEED to have? 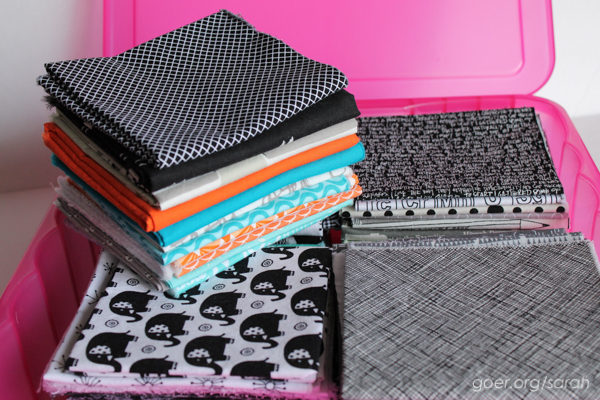 I certainly have options when I sit down to sew... perhaps too many options. I'm trying to fix that. :-) Thanks for visiting, Iris. And then there are the kinder quilts . . .
Oh my gosh, I get tired just looking at your list! At least you have plenty of variety to keep you motivated. Good luck Sarah! Definitely an ambitious list! 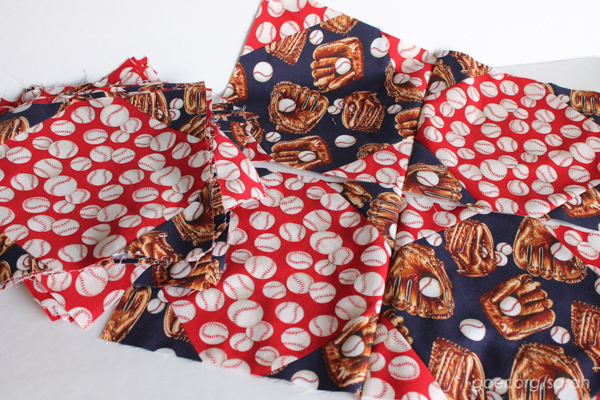 I have a couple of old WIPs like your baseball quilt, which I just need to get done. 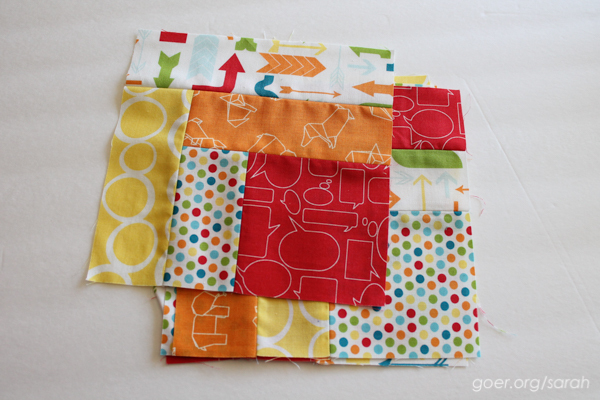 Do you piece a little bit of this one every time you sit down to sew, sort of like using it as a leader-ender project? I like to always leave one thing pinned and ready, and my machine threaded, so I can be productive right away. Lisa, that's a great idea. I meant to use it as a leader-ender project. It sat next to my machine. But since I actively piece multiple projects at a time they tend to work as leaders-enders for each other. Anyway, while I watched TV this evening with my husband I pinned those baseball blocks... ya know what's motivating? Using all my pins to prep a project I'm not motivated to work on. But I needed the pins back! 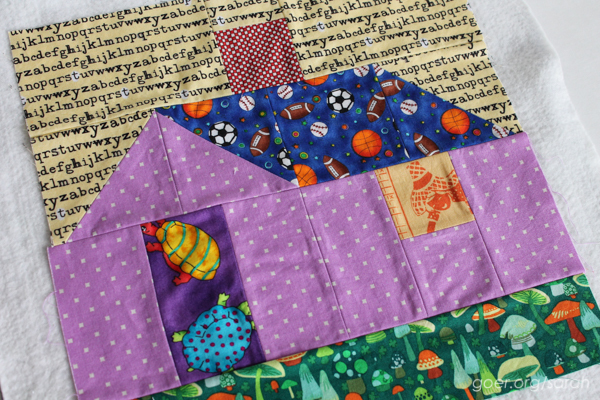 ;-) Anyway, I pieced a bunch of blocks this evening, for the baseball project and the Very Hungry Caterpillar ones. Yay progress! 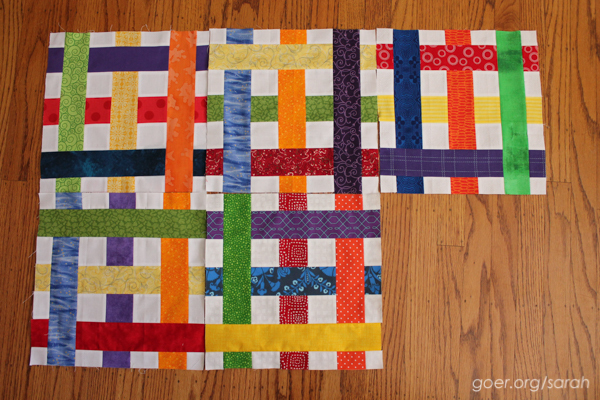 Love the rainbow lap quilt!! The colors are fabulous!! You are one busy lady!! Thanks, Bo. I look forward to getting it together.